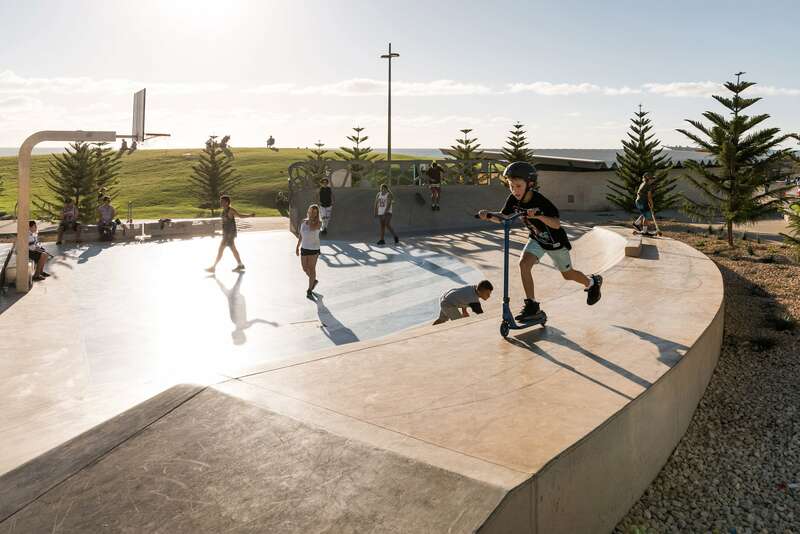 Thanks TCL for authorizing the publication of the project on mooool, Text description provided by TCL. 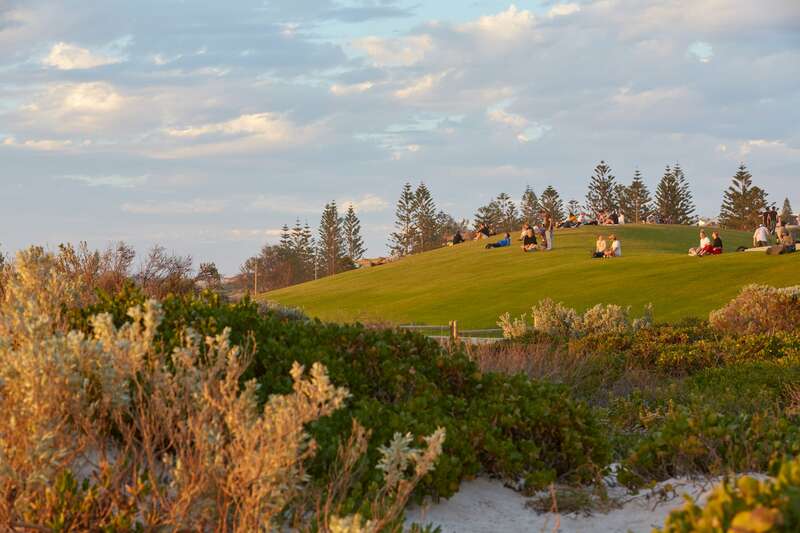 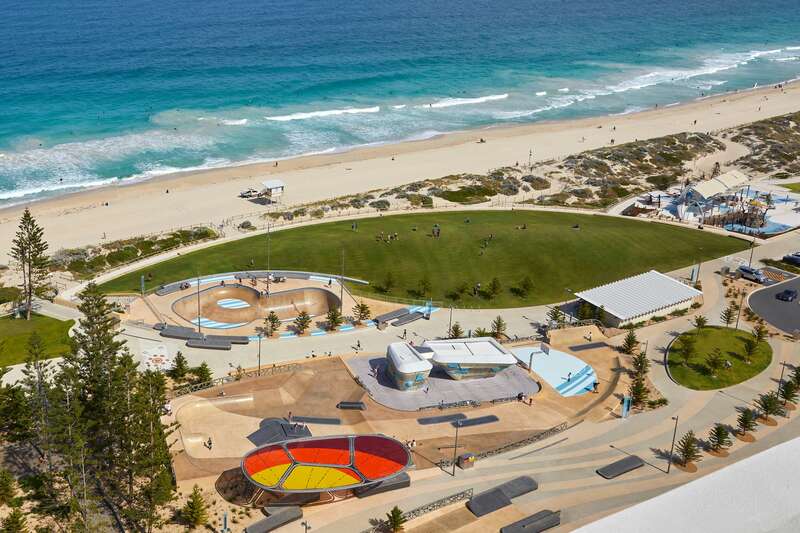 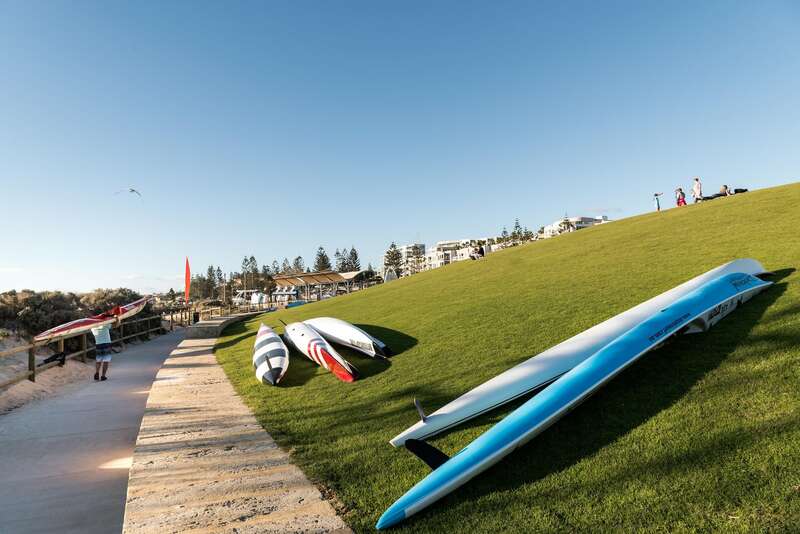 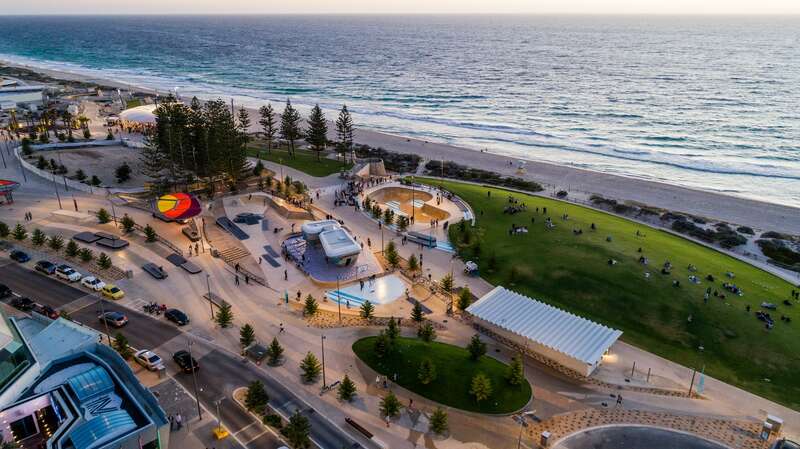 TCL：Perth’s famous Scarborough Beach has been remade into one of Australia’s best urban beach precincts. 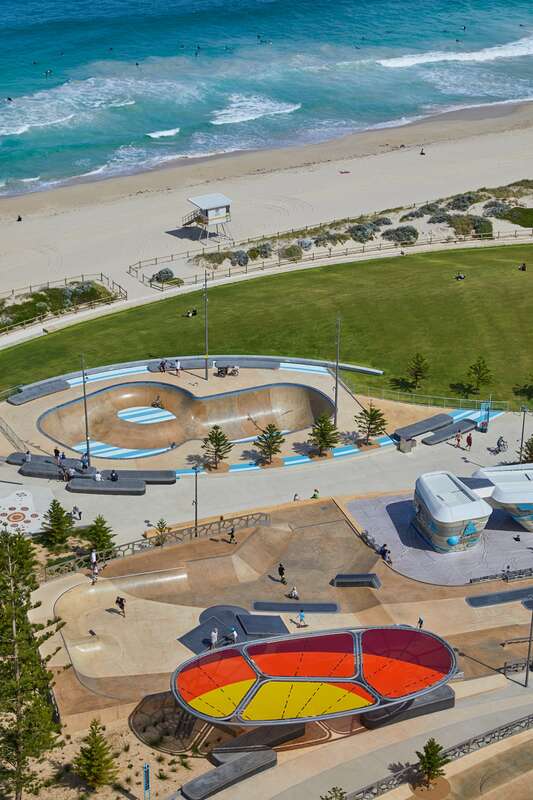 Central to the project is a world-class skate and bouldering space called ‘The Snake Pit,’ designed in collaboration with Enlocus, which includes a 3.6-meter, competition-grade skate bowl for local use, events and global competitions. 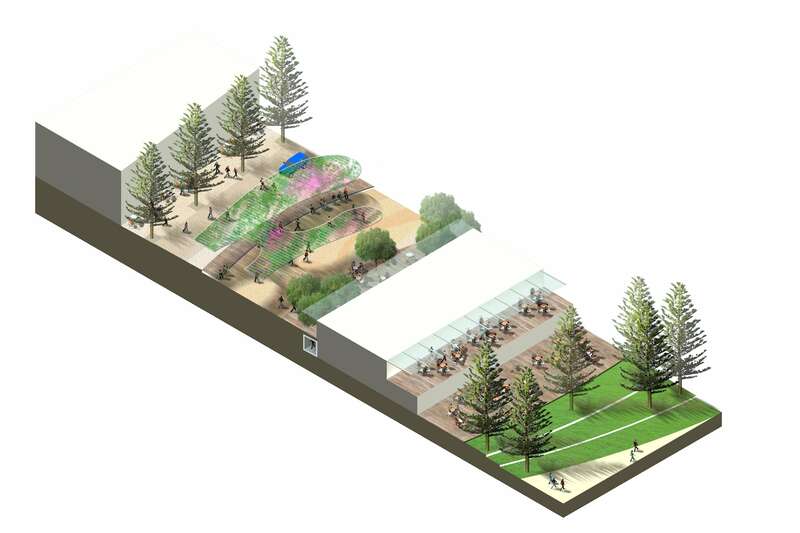 ▼遮荫凉棚下可以停留和开展活动 The shade arbors supports having a break and developing activities. 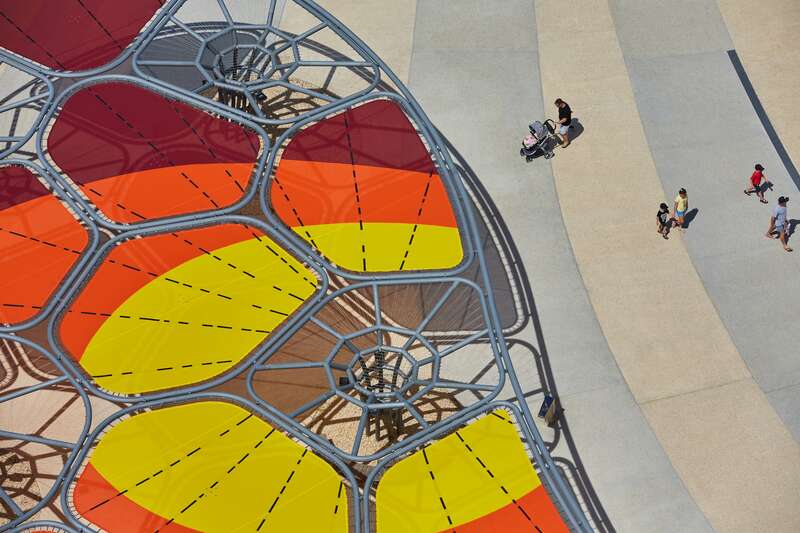 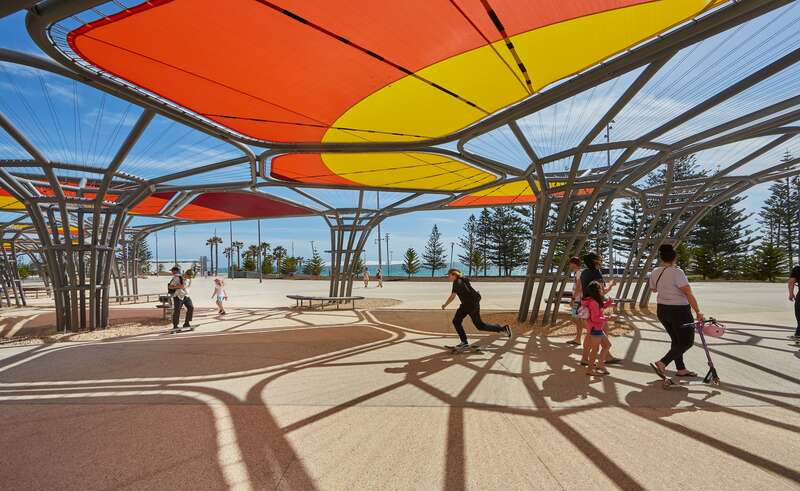 To the north a new children’s playground has been designed around a whale skeleton, interpreting Indigenous Whadjuk/Noongar Dreaming stories of spirits returning to land through the whales. 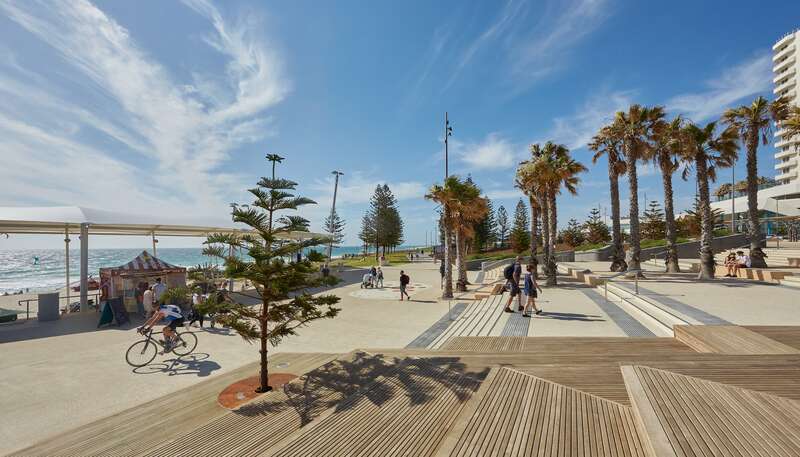 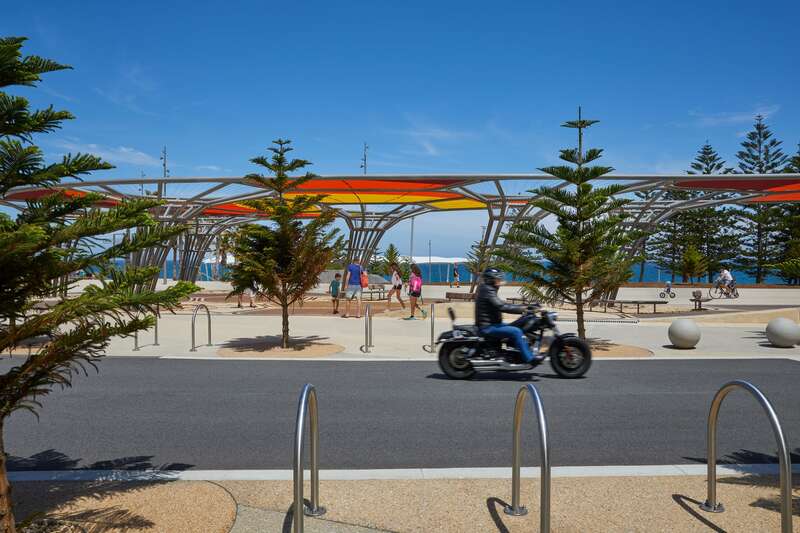 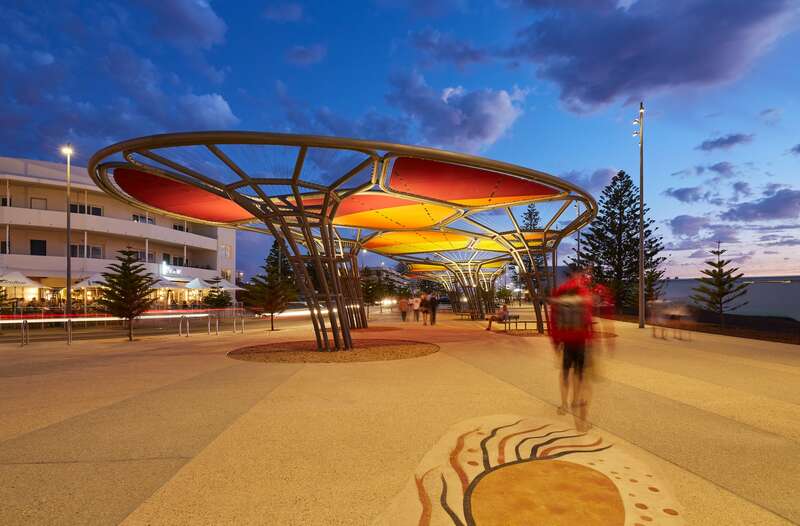 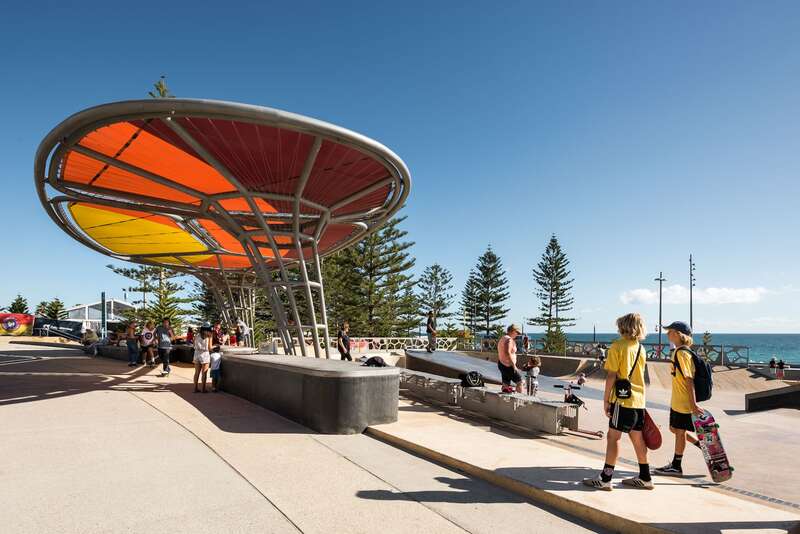 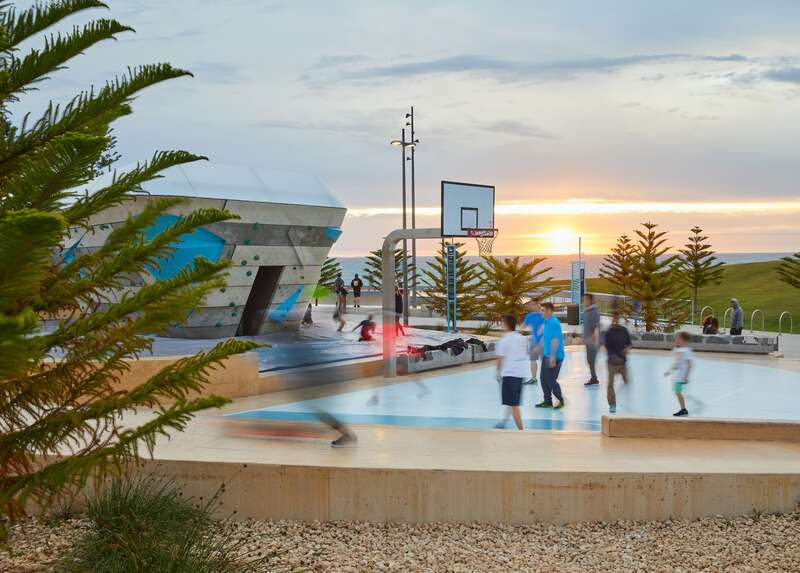 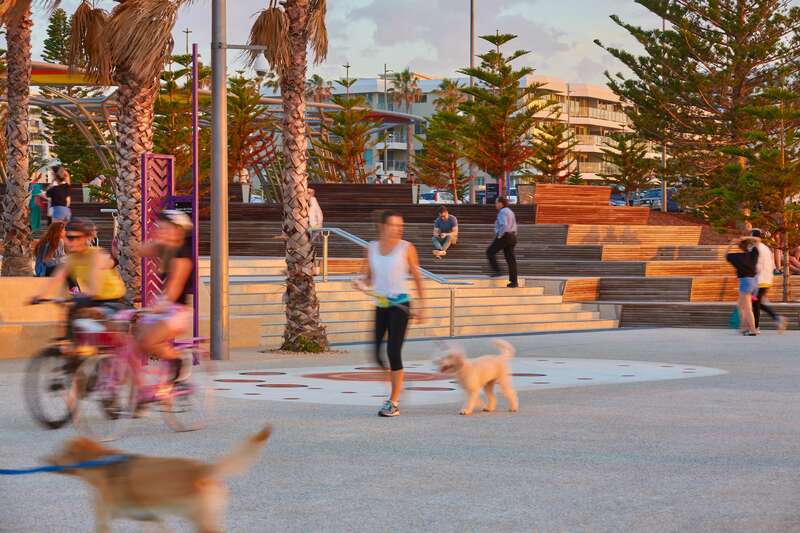 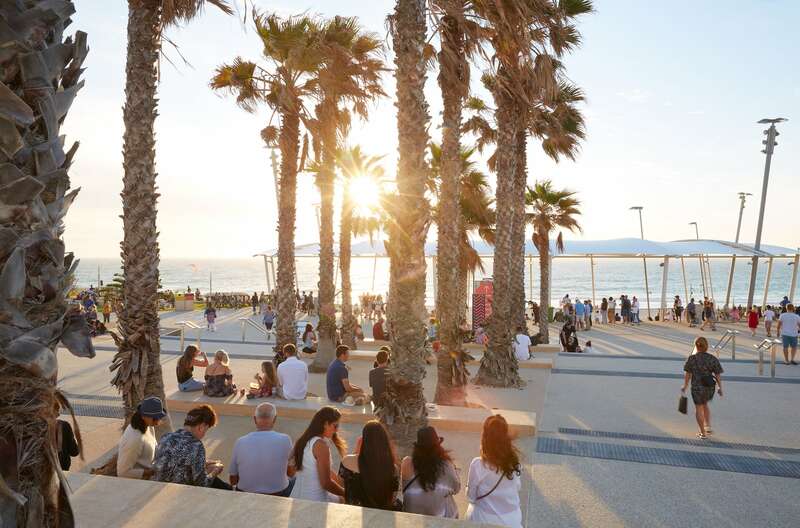 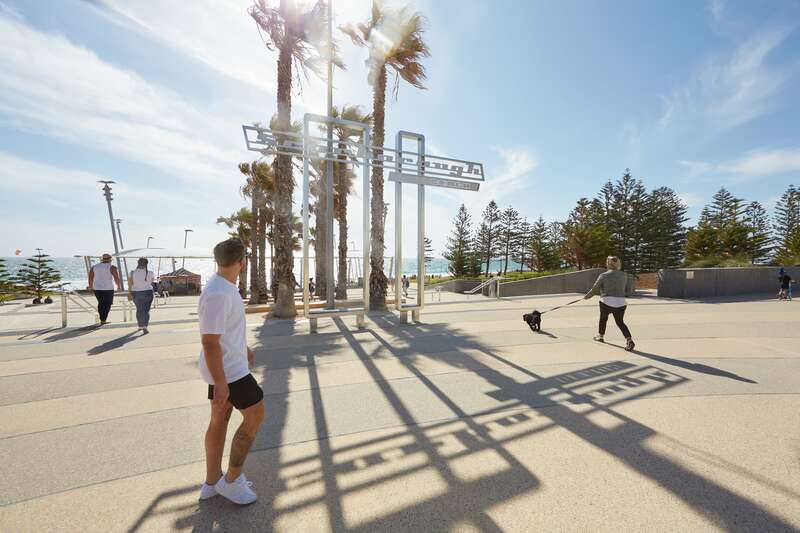 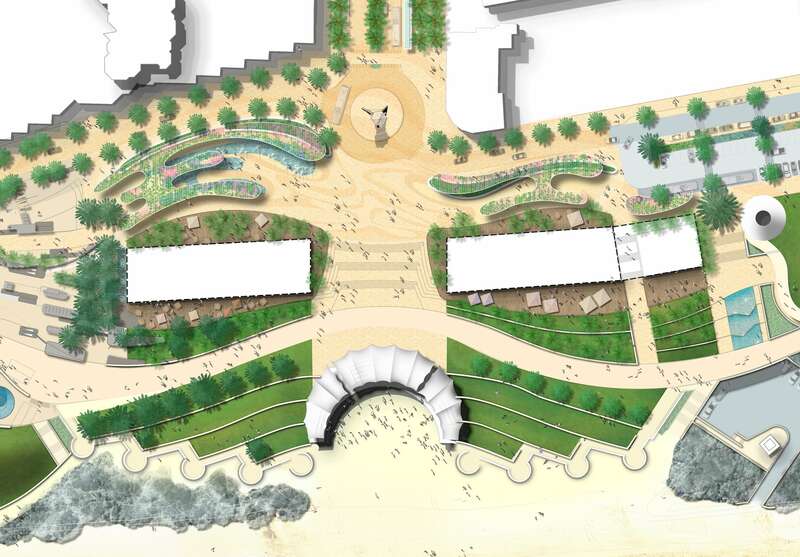 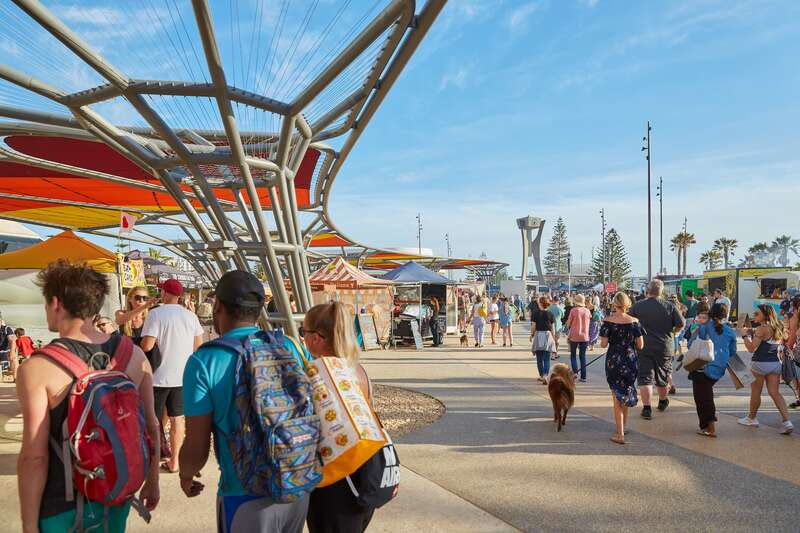 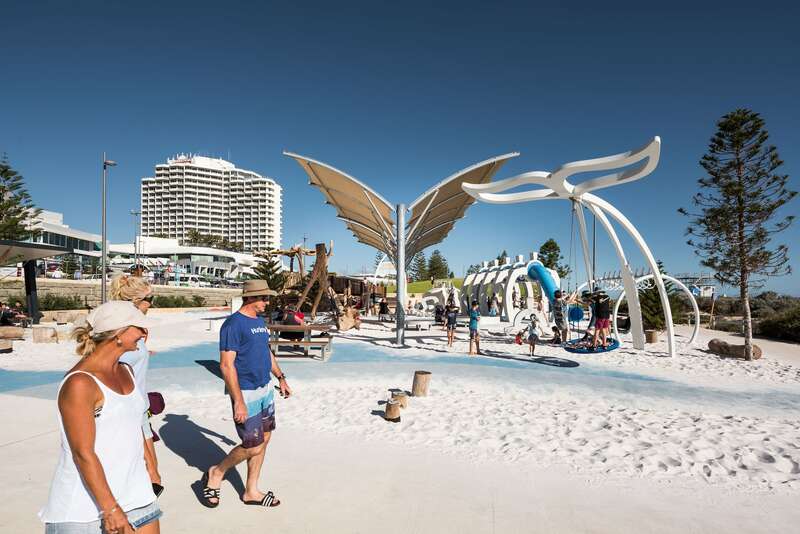 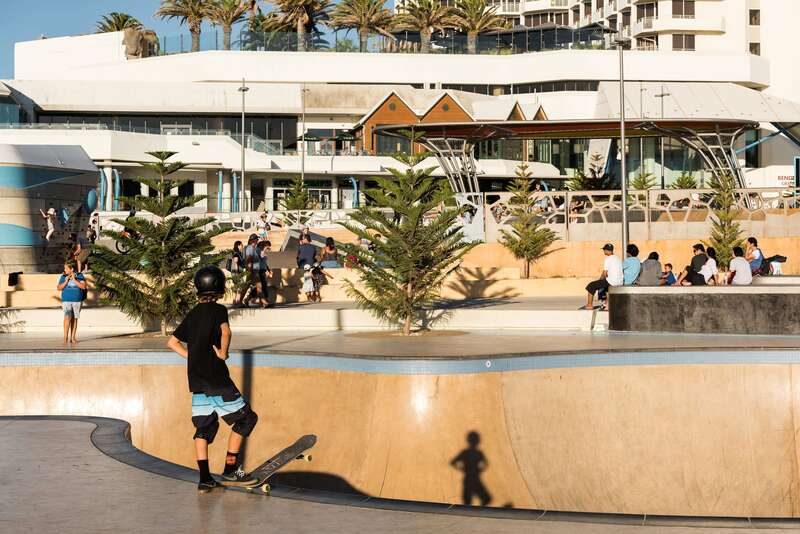 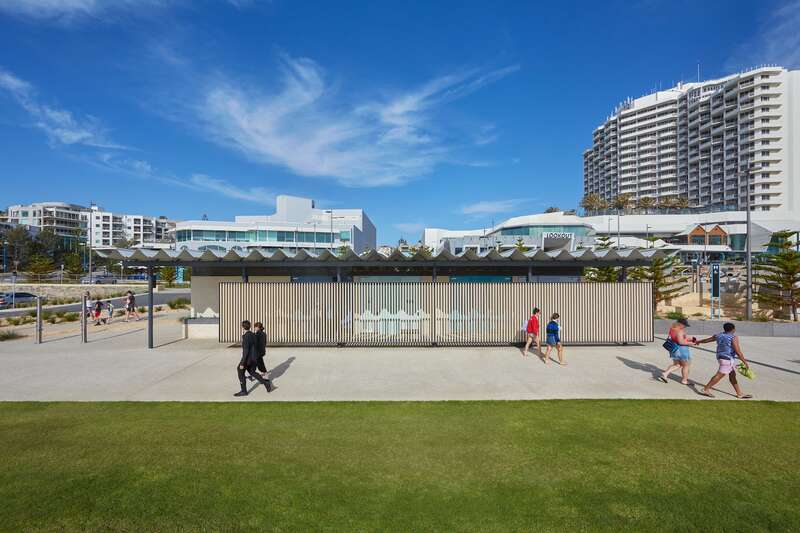 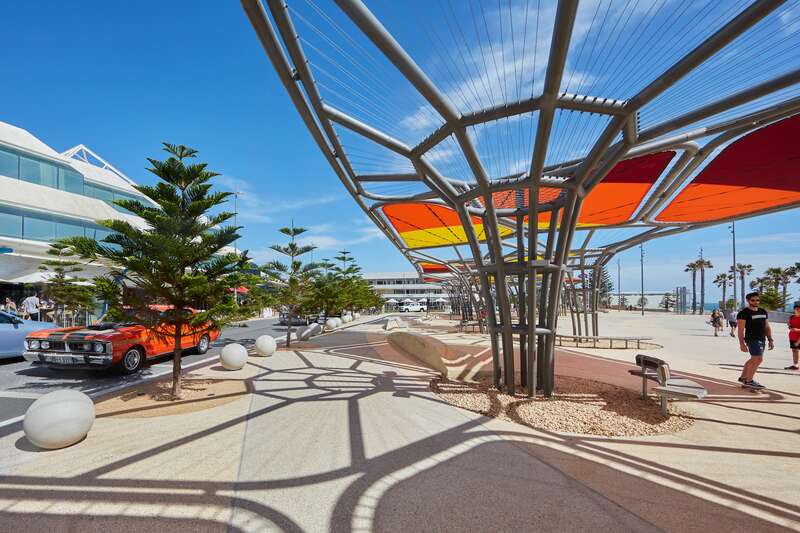 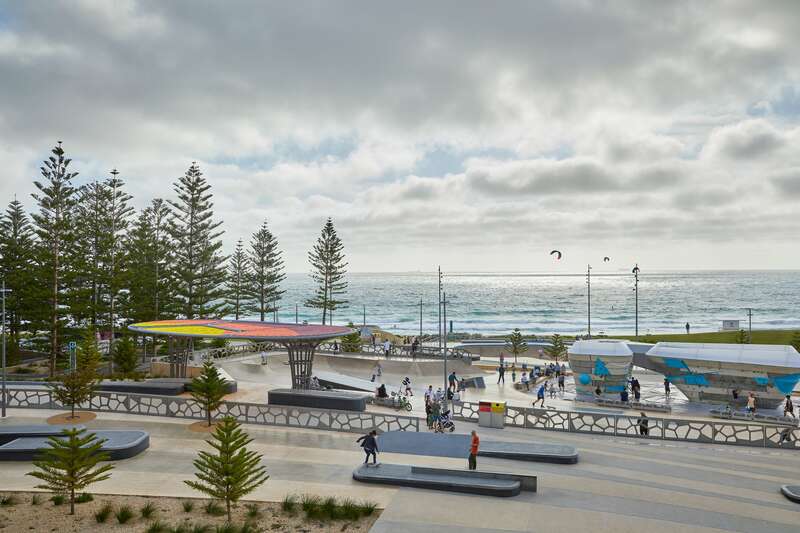 The redeveloped Scarborough Foreshore has strengthened Perth’s beach-side image by offering an inclusive and celebratory public realm where visitors and the local community can come together and enjoy the city’s beautiful seaside location.